Ajay Devgn fans, Rejoice! 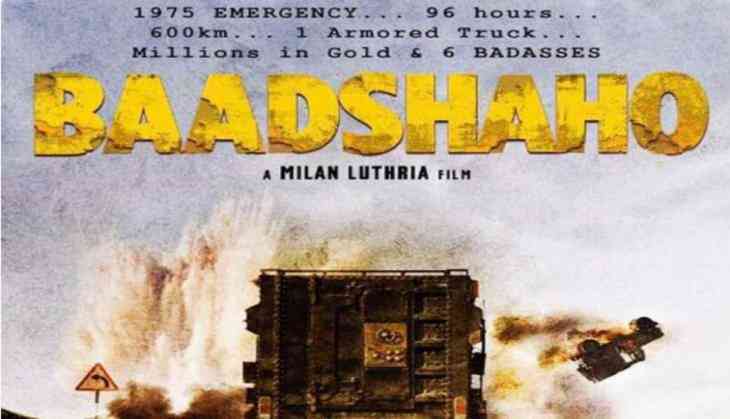 The first poster of his highly-anticipated movie 'Baadshaho' has been released. The 48-year-old actor took to Twitter and shared the first poster of the movie, which surely will make fans go crazy. He captioned the snap, "1975 EMERGENCY...96 hours...600km...1 Armored Truck...Millions in Gold & 6 BADASSES. Baadshaho Sandstorm Is Coming!" The other stars of the movie, Emraan Hashmi and Ileana D'Cruz, also shared the poster on their Twitter handles. The 'Barfi' actor D'Cruz tweeted, "Finally!!! A film by an absolute badass director that is incredibly special to me! #BaadshahoSandstormIsComing #Baadshaho." Meanwhile, Emraan wrote, "1975 EMERGENCY... 96 hours... 600km... 1 Armored Truck... Millions in Gold & 6 BADASSES. Baadshaho Sandstorm Is Coming!" Directed by Milan Luthria, the film is produced by Bhushan Kumar and Krishan Kumar. The flick is slated to hit the screens on September 1.